This tutorial gives a brief example how to install and setup things to develop Java on Linux Mint system. 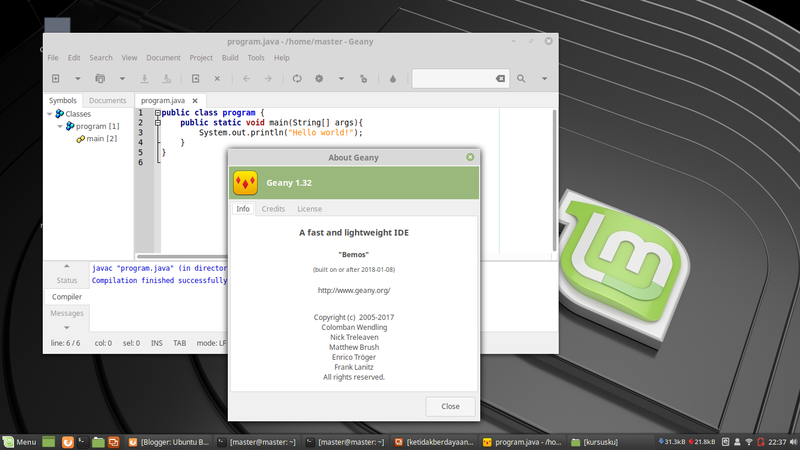 We will use Geany as the text editor and OpenJDK as the tools. You will also try to create first Java program and run it. I intended this tutorial to help students and beginners who use GNU/Linux with their first days in learning Java. Happy coding! The download size needed in Mint 19 Cinnamon is +/-80MB. No configuration needed in Geany. 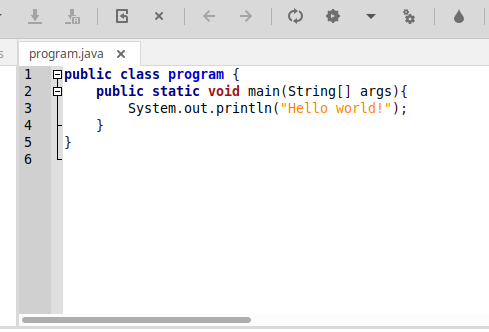 It automatically recognizes that your typed source code is "Java". Here's the traditional Hello world program. Save this as program.java. Notice the file name must be the same as class name. Press Compile button, then press Run button. 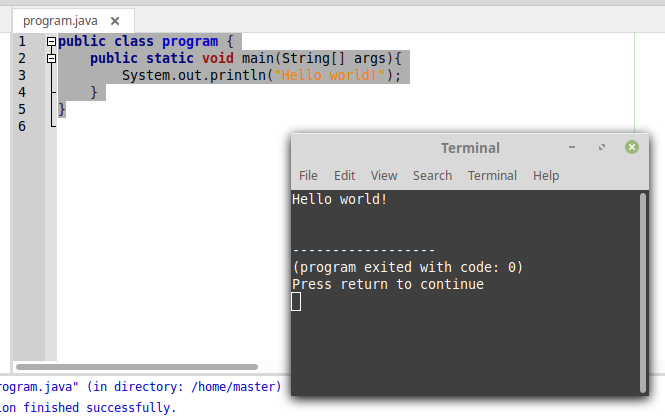 If your source code is OK, it prints out text "Hello world!" in a new terminal. The result shown in a new Terminal: "Hello world!" Why not Eclipse or Netbeans? To start learning Java, you don't need big IDEs, the small Geany is already enough. How to configure build commands? Go to main menu Build > Set Build Commands > see "Compile" section on top, see "Build" section on bottom. Why no more examples? See Further References below.